Farrar, Straus and Giroux, 9780374108991, 432pp. Araceli is the live-in maid in the Torres-Thompson household—one of three Mexican employees in a Spanish-style house with lovely views of the Pacific. She has been responsible strictly for the cooking and cleaning, but the recession has hit, and suddenly Araceli is the last Mexican standing—unless you count Scott Torres, though you’d never suspect he was half Mexican but for his last name and an old family photo with central L.A. in the background. The financial pressure is causing the kind of fights that even Araceli knows the children shouldn’t hear, and then one morning, after a particularly dramatic fight, Araceli wakes to an empty house—except for the two Torres-Thompson boys, little aliens she’s never had to interact with before. Their parents are unreachable, and the only family member she knows of is Señor Torres, the subject of that old family photo. So she does the only thing she can think of and heads to the bus stop to seek out their grandfather. It will be an adventure, she tells the boys. If she only knew . 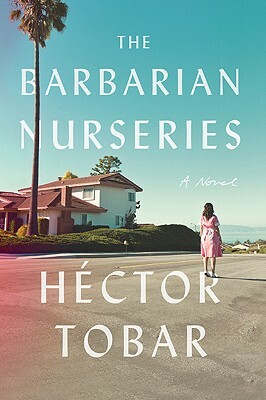 . .
Hector Tobar, now a weekly columnist for the "Los Angeles Times," ""is a Pulitzer Prize-winning journalist and a novelist. He is the author of "Translation Nation "and "The Tattooed Soldier. "The son of Guatemalan immigrants, he is a native of the city of Los Angeles, where he lives with his wife and three children.